Pregnancy is such a special time in a woman's life. As you prepare to bring a new life into the world, you might struggle with your physical appearance. One of the biggest complaints among pregnant women is the idea that you have to throw your fashion sense out the window. However, this is a huge misconception. Just because you are pregnant is no reason to feel force to wear oversized, baggy or unflattering clothing. There are several maternity clothing designers that have sought to make you feel beautiful and have an outfit to match that gorgeous pregnancy glow. Besides clothing, there are also several other ways that you can boost your body image. Here are some great tips that will accentuate your pregnancy beauty and boost your confidence. First of all, when choosing clothes you should always be comfortable. However, you don't have to sacrifice style for comfort. Look for clothes that accentuate your growing baby bump. Look for clothes that don't bind but hug your curves. Cotton is a great choice that is versatile and allows your body to breathe. Let's talk about maternity pants. Leggings, yoga pants and jeggings are also a great choice. They can be dressed up or down and of course, feel extremely comfortable. Also, they can always be added to your wardrobe after the baby arrives. However, don't forget about denim jeans. Long gone are the days of baggy denim with a large elastic band that screams pregnant. Take a look at some of the maternity denim styles that feature a normal waistband and a incognito elastic band. These jeans look so great that you could easily continue wearing them after baby. When in doubt, accessorize. Even the plainest of outfit can be made fabulous with a fun necklace or glitzy pair of earrings. Wear what you love, even if other's don't. Creating your own sense of fashion is very important to your personal body image. Try out new makeup or hair styles. Maybe you feel more comfortable in your yoga pants and maternity top. That is completely OK! Get creative with your hair and makeup. Maybe you have always wanted to try out that short pixie cut or dare to be bold with that new crimson lipstick. Even take it one step further and pamper yourself with a trip to the salon or professional makeup booth. No matter what, allow yourself to be comfortable. Remind yourself that you are growing a human being inside of your body. Don't force yourself to embrace fashion trends you don't like just for the sake of fitting in. Stay true to your own personal sense of style. Even if you don't know where to start, the Internet is a great place to discover new maternity styles. Browse styles of maternity clothes online. 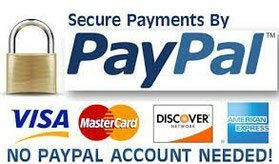 Even better, you can make your purchases without even leaving your house! However, don't forget to try to go up a size if you think your baby bump will continue to grow. 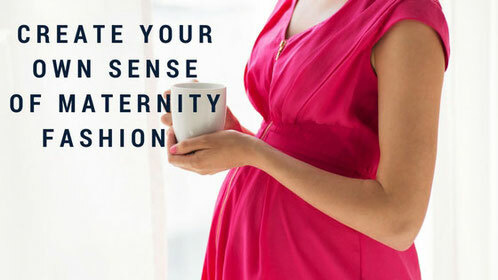 You want your maternity wardrobe to last you throughout your entire pregnancy! Before making an online purchase, always check the retailer's return policy. Sometimes sizes may run differently or look different in person. Feel free to return what you don't like. Most online retailers will gladly accept returns and be happy to assist you to find something else that you will love. Our store specializes in helping mothers all over the world find the perfect clothing, such as our maternity clothes Canada program. Another helpful idea when trying to discover your maternity style and build a pregnancy wardrobe is to seek the counsel of other pregnant or recently postpartum friends and family members. Perhaps they can allow you to try on or borrow pieces of their maternity clothes. Who knows, you could discover something that you can't live without. Get their advice. Ask them what they found to be the most comfortable and stylish outfit that they wore during their pregnancy. Don't forget to choose maternity clothes for your specific trimester. Just because you could comfortably wear an article of clothing for the first couple of months, don't plan on it continuing to fit throughout your entire pregnancy. If it is too snug or tight, it be more than just uncomfortable. Ill-fitting clothing can cause back pain and even harm the baby. We can't stress enough, comfort is key! You might notice that you are having trouble managing other parts of your body during pregnancy, such as larger breasts. Your pre-pregnancy bra might not be able to support your growing ladies anymore. No one wants to have a bust that is literally busting out. Invest in a few good bras that can offer you much needed support during your pregnancy. You might decide to stick with your favorite brand. Simply buy a a bigger size to help with your growing bust. This is also a good time to transition to comfortable nursing bras that can be used after the baby is born. Don't forget that a growing bust means more than a bigger cup size. Remain mindful that you may want to get a bigger band size as well. Whatever you choose, remember that a correctly fitting and supportive bra can help reduce back and leg pain. This is extremely important during pregnancy. You might want to give up on pants all together when you get to the third trimester. This is the time that many women begin to have body image issues as their body has changed immensely. You might find that pants, zippers and even buttons are too much to handle. Even your favorite maternity clothes might become uncomfortable. This is a great time to give flowing maxi dresses a chance. Not only are they made of extremely comfortable fabric, but they will also allow you full range of motion. Maxi dresses are prefect for any season or time of year. In the hot summer, you can wear them along with a pair of comfortable sandals. In the colder parts of the year, pair your maxi dress with a light sweater or jacket. You can complete the look with a pair of slip on flats. Women also love maxi dresses because of their versatility. This look can be dressed up or down. Perfect for a day at work, a night on the town or a quick trip to the grocery store. Whatever you decide about maternity clothes during your pregnancy, make sure you make yourself happy. Comfortability should be your number one priority. Remind yourself that the health and happiness of mother and baby are the only things that matter. You are bringing forth a new life into the world and that makes you a goddess, no matter what you are wearing! To begin building your new wardrobe, check out maternity clothes online on our website. We have several styles and inventory. We are also more than happy to help you discover how to dress during this new stage in your life. Our store is proud to also offer maternity clothes Canada for expectant mother outside of the US.